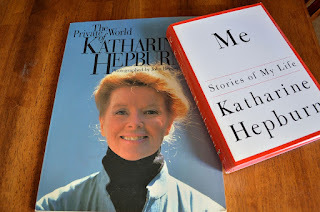 When asked to name the heroes in my life, Katharine Hepburn is on my list. My admiration of her talent started when I was a teenager and dreamed of being an actress. I loved her work, especially in two of my favorite movies, "On Golden Pond" and "Desk Set". As I got older, I started to admire Katharine Hepburn, the person. I liked her spunky, straight-forward attitude. I loved that she would only wear pants because she didn’t like dresses. She was strong, smart, talented, and witty. I want to be just like her. With all the upheaval going on in the world right now, I thought we could all use some chocolate. 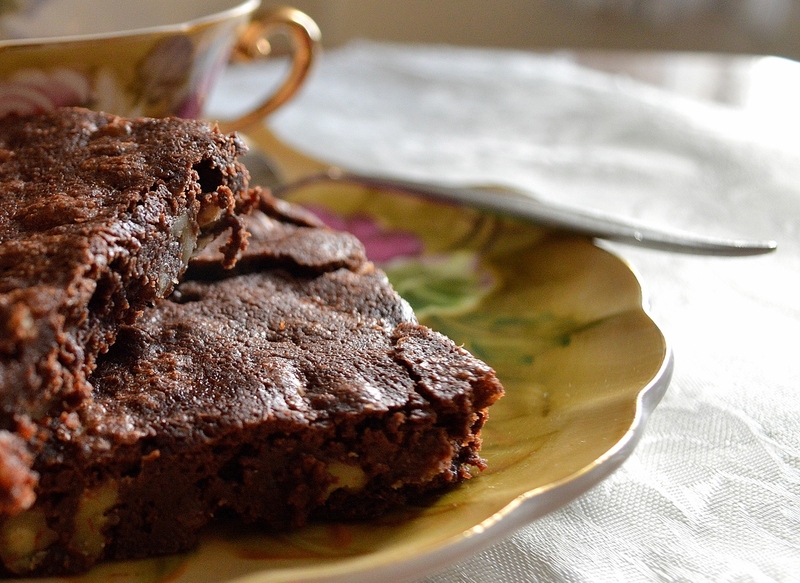 This brownie recipe came from a New York Times letter to the editor. It’s a sweet story about the writer’s encounter with Miss Hepburn, who lived near her family’s Connecticut home. (You can read the story here.) Besides learning life lessons from the actress, the writer also learned her key to delicious brownies: Do not use too much flour! Notice the recipe only calls for a quarter of a cup. I made two small changes to the original recipe. 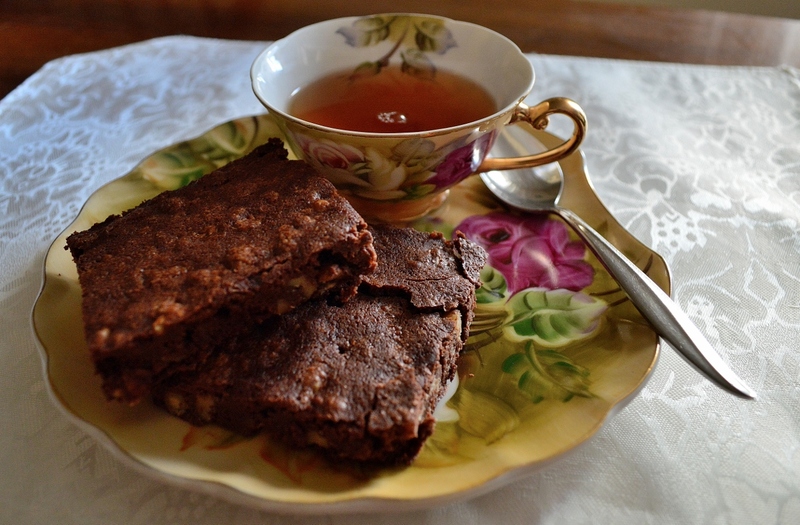 First, I added a bit of instant espresso powder, since I find it enhances the chocolate flavor in any recipe. Second, I baked the brownies in a 9-inch-square baking dish instead of the 8-inch one called for in the recipe because, well, I didn’t have an 8-inch one. I shortened the baking time a bit. That is the key to this dish…do not over bake. These brownies are supposed to be fudgy and gooey. 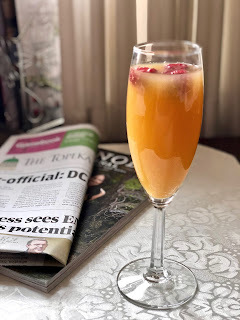 This is an easy, make-any-time recipe since it contains ingredients most of us keep in our pantry. The resulting brownie is a chocoholic's fantasy. Preheat the oven to 325 degrees F. Spray an 8-inch-square or 9-inch-square baking dish with non-stick cooking spray and set aside until needed. Put the cocoa powder and butter into a large microwave-safe bowl. Place in the microwave for about 1 minute, or until the butter is melted. Whisk the mixture together until smooth. Set aside to cool a bit. In a small bowl, mix together the sugar, flour, walnuts and salt. Set aside. When the butter-cocoa mixture has cooled slightly, whisk in the eggs, one at a time. Then whisk in the vanilla and espresso powder. Pour the sugar-flour mixture into the cocoa mixture. Stir until just combined. Don’t over mix. Pour the batter into the prepared baking dish. Bake the 8-inch-square pan for 30 to 35 minutes, and the 9-inch-square pan for 20 to 25 minutes. Do not over bake. The brownies are supposed to be fudgy and gooey. Remove the brownies from the oven and place on a cooling rack to cool completely before cutting. I haven't had brownies in the longest time and these do sound good. I'm glad I could spark a brownie craving, Karen! If I eat these brownies, will it make my voice low and croaky? I hope so.